I just love soups. Especially when the colder temperatures come around, soup is in always on our family menu. 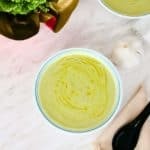 I can’t get enough of coconut curry soup, so I tweaked my Lentil Coconut Curry Soup for this vegan version. 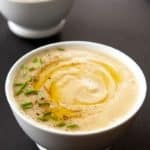 I love this soup so much that I had this for lunch this week, and I plan on making some more this weekend! 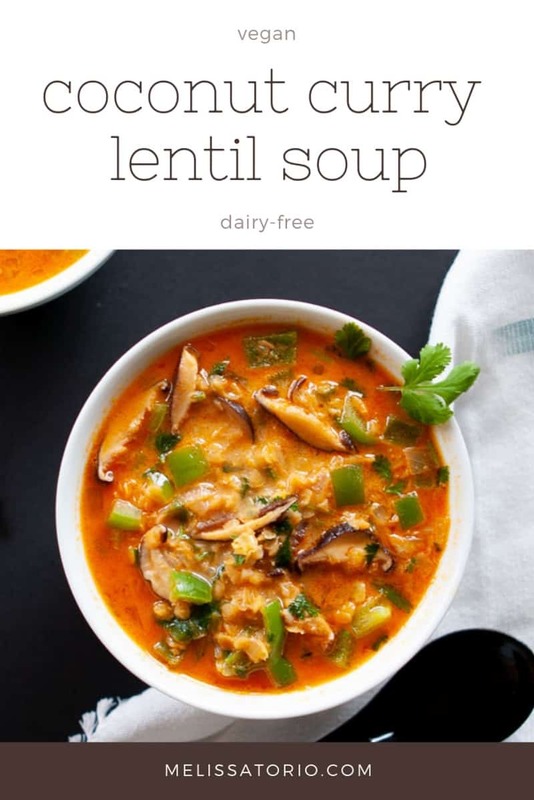 What’s in this Vegan Coconut Curry Lentil Soup? Tip: Use the mushroom stems to make broth! Red lentils are legumes that provide a good source of fiber and protein. I like using red lentils because they cook quickly with no soaking required. And I find that I can digest them more easily than other legumes. I tend to get red lentils from the bulk section of our local grocery store. I bring my own jar and get what I need. See some of my tips for a zero waste kitchen. 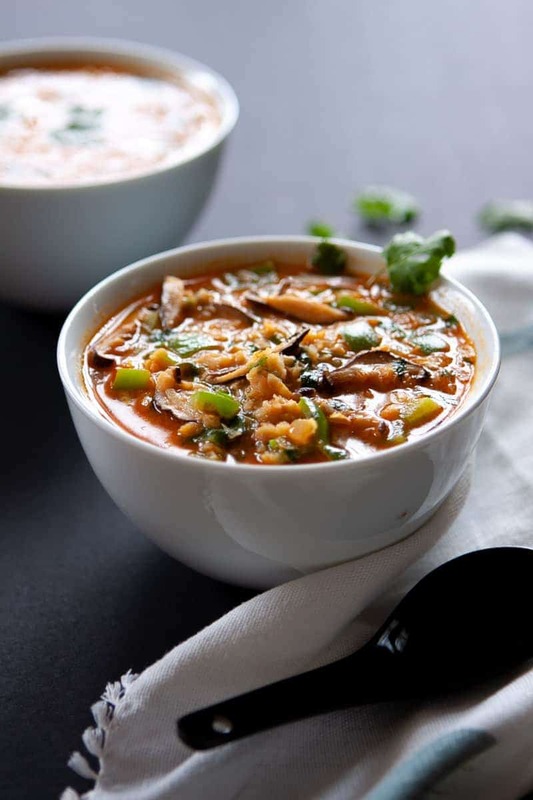 Coconut milk provides healthy fat and rich creaminess to this soup. The red curry paste, ginger, cilantro and lime add the Thai inspired flavors. Place a large pot on the stove on medium heat. Add the coconut oil. Once the oil is warmed up, add the onions and garlic. Cook for about 5 minutes until the onions are translucent. Add the ginger and shiitake mushrooms. Cook for a couple of minutes. Add the red curry paste. Stir until everything is covered with the curry paste. Add the coconut milk, water and red lentils. Bring to a boil then cover to simmer for about 10 minutes until the lentils are soft and cooked through. Turn off the heat and add the green bell pepper, cilantro, lime juice and salt. Stir thoroughly. 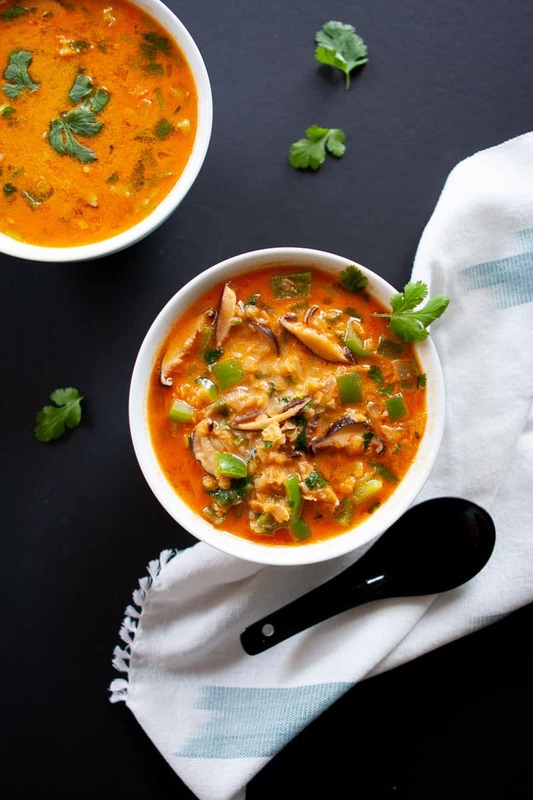 Let me know how you like this Vegan Coconut Curry Lentil Soup! Please leave a comment or rating below. 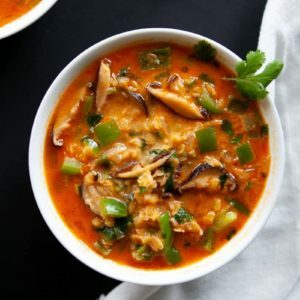 This is a vegan version of my favorite coconut curry soup. In a large pot, set to medium heat, add coconut oil. When the oil is hot, add onion and garlic. Sauté until onions are translucent, about 5 minutes. Add ginger and mushrooms. Cook for a couple more minutes. Add red curry paste. Stir until everything is covered with the paste. 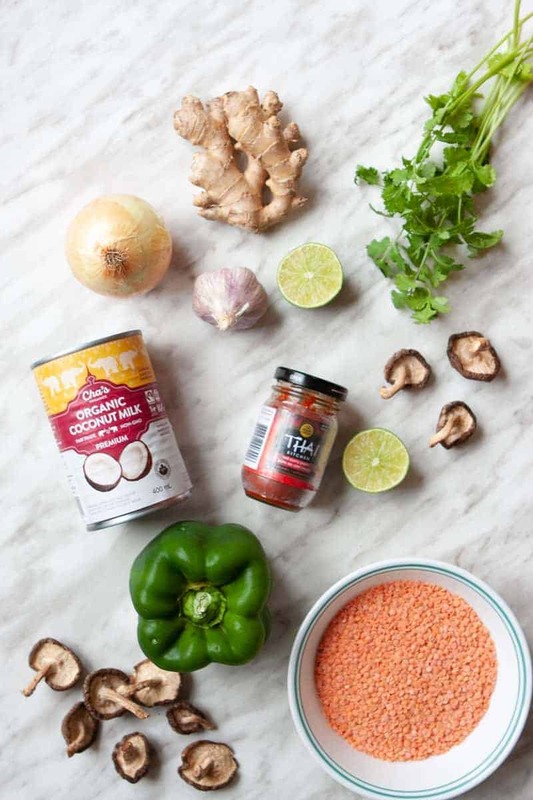 Add coconut milk, water and red lentils. Bring to a boil, cover and let simmer for 10 minutes or until lentils are cooked through. Turn off heat. Add bell pepper, cilantro, lime juice and salt. Stir thoroughly. “Mushrooms, Shiitake.” The World’s Healthiest Foods, whfoods.org/genpage.php?tname=foodspice&dbid=122. This looks so yummy! Perfect for this weather! I will most definitely be trying! I hope you like it, Cheri! I love anything Thai inspired! What a wonderful combination of flavours- perfect for this time of year. Can’t wait to give this a try! 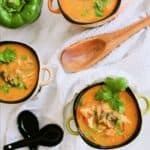 This soup looks so yummy and I am such a fan of Thai curry soups, so I must try this soon. Thanks for sharing a great recipe! What a great recipe for the fall and winter months. I will definitely be warming up with this one. 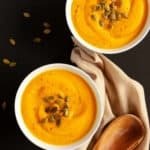 What a delicious, warm soup for a cold winter’s day! I love that your recipe is free from dairy and gluten. Pinning! Such a comforting and hearty soup for winter. I love using lentils whenever I can.